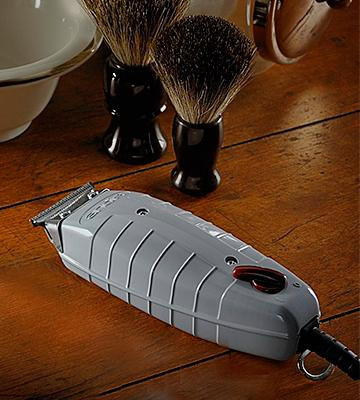 This lightweight and small-sized trimmer boasts a pretty powerful motor that cuts through all hair types and doesn't run hot even after long trimming sessions. The blades should be lubricated after each use. 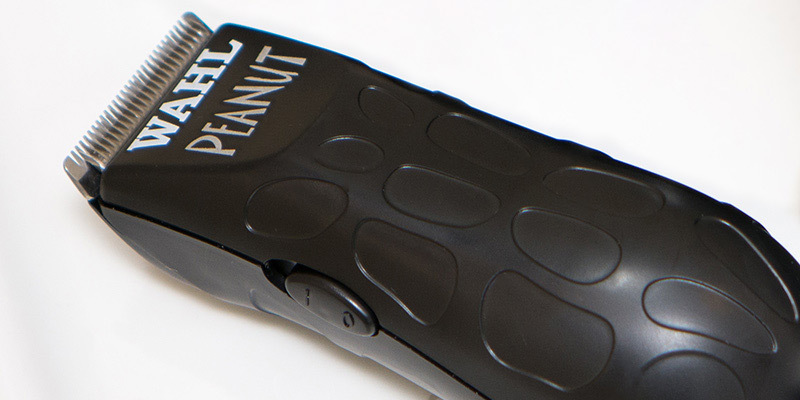 Thanks to high efficiency, power, and ease of use, this Wahl Peanut trimmer can rightfully be called the best barber trimmer on the consumer market. Whether you need a tool for professional use or you seek a device for at-home beard trimming, this one will meet your demands. 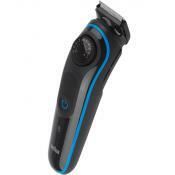 Designed with a contoured housing, the trimmer fits comfortably in a hand. 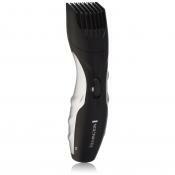 A T-blade ensures extremely close cutting that works wonderfully for fading and styling. 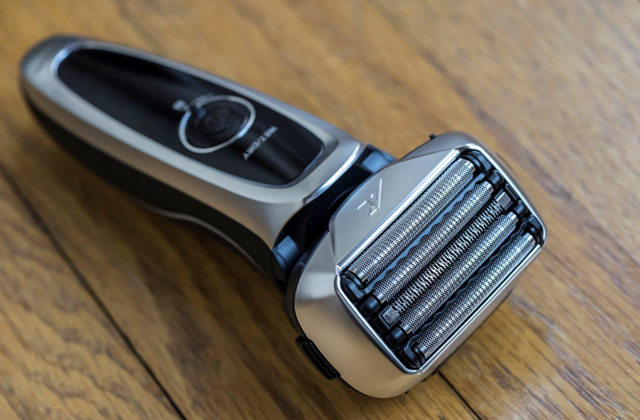 The Andis T-Outliner will become a great addition to your collection of grooming tools as this device allows trimming facial hair, performing detail styling, and shaving close to the skin in the places any other trimmer wouldn't even reach. 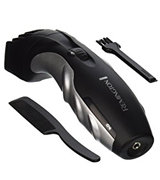 This easy-to-use and maintain trimmer features titanium coated self-sharpening blades that don't require lubrication and a handy zoom wheel for choosing the desired cutting length. If you are looking for an affordable tool to keep your beard or mustache neat, the Remington MB-200 model will fit the bill. Owing to a wide variety of integrated length settings, you can choose the optimal one for the best results. 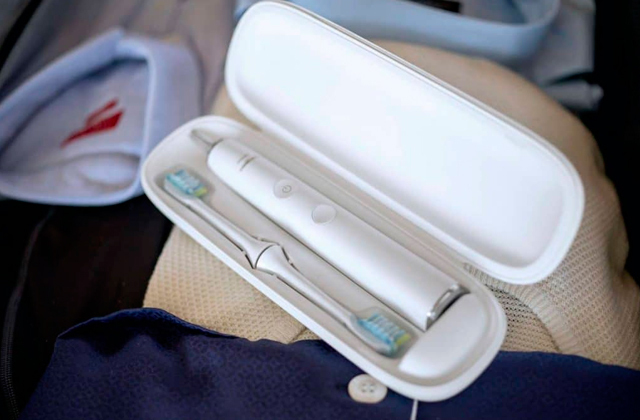 The multigroom kit features a great number of different attachments for detail trimming and touch-ups. Thanks to the Turbo function, the trimmer guarantees great results on thick and coarse hair. Plastic attachments are a bit fragile. 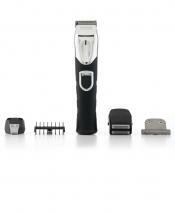 This all-in-one trimmer offers incredible styling versatility. 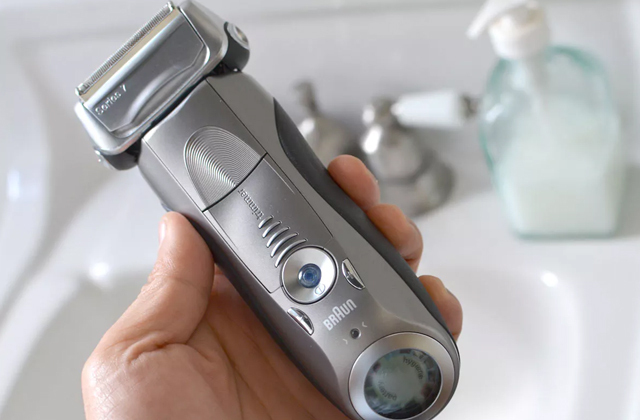 The kit has everything you might need for facial hair trimming, so smartening up your look won't be a daunting task anymore. 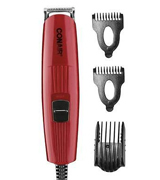 The Conair GMT8RCS beard trimmer comes with a 5-position comb and 2 jawline combs for comfortable trimming in hard-to-get places. Some users have experienced issues with overheating. 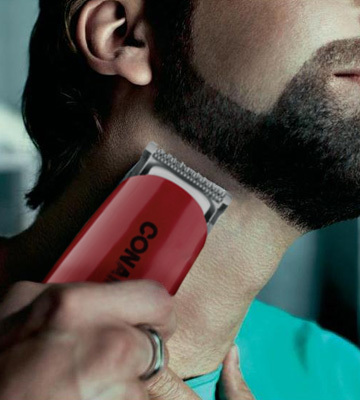 The Conair professional trimmer is a straightforward styling tool that can help you sculpt or detail a beard, leaving no irritation after trimming. No doubt, it can beat more expensive models in terms of efficiency and quality. 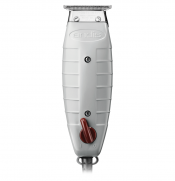 The Wahl Professional Peanut is the top rated trimmer used by professional barbers around the globe. The model is corded, small in size, and equipped with a pretty powerful motor. The combination of these features makes the tool comfortable to hold and suitable for use through the whole day without hand fatigue and motor overheating. In addition, the rotary motor creates virtually no sound and guarantees excellent blade speed. 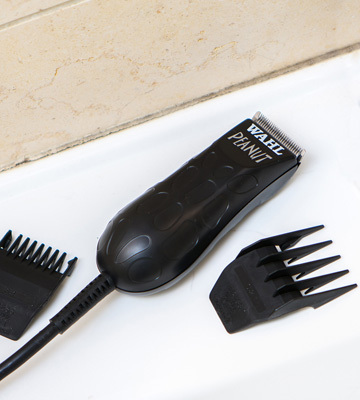 The trimmer runs smoothly through any hair type, no matter whether it's wet or dry. 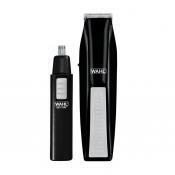 What’s more, you can use the Wahl professional beard trimmer not only for trimming but for clipping as well. Also, you can experiment with your hair length by choosing from 4 included guide combs (1/8”" 1/4", 3/8", and 1/2"). 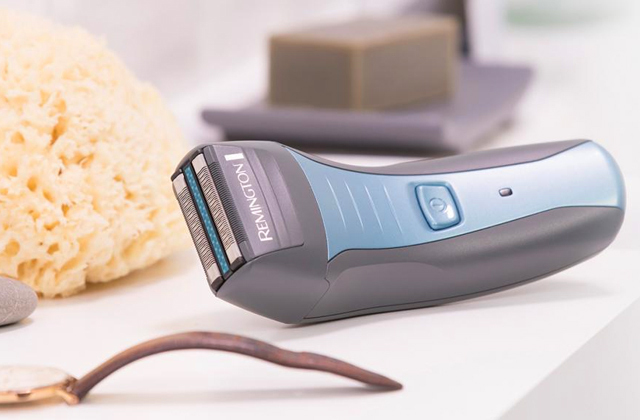 So, whether you are a professional barber or just a casual user, you should definitely consider this super-powerful trimmer. Convenient to use, since it weighs only 4 ounces and is 4-inch long. 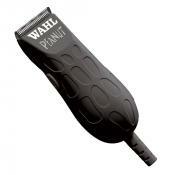 Wahl 8655-200 Peanut: 1.8 in. Andis GTO 04710: 1.8 in. 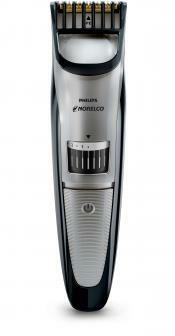 Philips Norelco Multigroom 5100 QG3364/49: 1.5 in. Perfect compact size for sideburns and mustache trim. 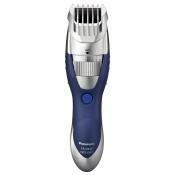 I use it to trim my beard and it has a powerful motor and sharp blades. Very sharp at first and maintains precision beutifully for a long time. Plenty of power and no worries about batteries running out of juice at the wrong time. 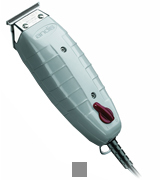 The Andis professional trimmer offers a number of unique features any user would like to have. The adjustable T-blade is made of highly durable carbon steel. Thus, the blade has a long cutting life and ensures maximally precise trimming. You can use the Andis styling tool for outlining, fading, and cutting hair in the places any other trimmer wouldn't even reach. People who prefer a clean shave and bald look will also highly appreciate this versatile tool since it can be used for dry shaving too. The trimmer is mains-powered and has a long 8-foot cord allowing you to use the device at a great distance from a power outlet. Easy-to-hold contoured body and 8-foot power cord. 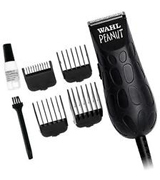 Wahl 8655-200 Peanut: 4 in. Andis GTO 04710: 1.5 in. 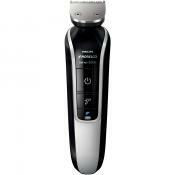 Philips Norelco Multigroom 5100 QG3364/49: 6.6 in. great design, close cut, couldn't be happier. This cuts just as well especially considering the price. With proper maintenance it'll last at least a yr b4 needed new blades. I like the size of them and the strength of the motor. With that said there are some shortcomings namely the blade getting hot. It's sharp and cuts to about 150th of an inch. No itch no burn. With this blade you'll be able to get into every nook & cranny. 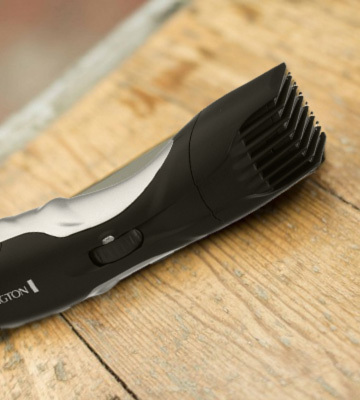 The cordless beard trimmer from Remington is one of the simplest devices on the market. You can adjust the cutting length even without changing guide combs. 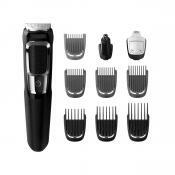 The thing is that the trimmer comes fitted with 1 comb offering 9 different length settings (from 1.5 mm to 18 mm) that can be changed with a zoom wheel. The wheel gets securely locked once you set the desired length. You can be sure that you won't jump to lower or higher setting accidentally during the use. As for the blades, they are coated with titanium and guarantee smooth trimming without pulling. Moreover, the blades are-self-sharpening and require no lubrication. They can be simply rinsed under running water after each trimming session. The trimmer cannot be used while it's charging, so it is better to juice the tool up in advance. 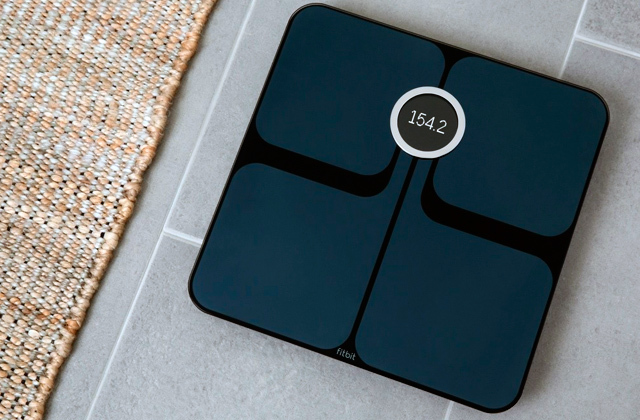 The full charge takes from 14 to 16 hours. Zoom wheel for choosing the length setting from 1.5 to 18 mm. Andis GTO 04710: 5.5 in. It felt right in my hand and the blades were sharp and stayed sharp. Great product, light weight and easy to use. 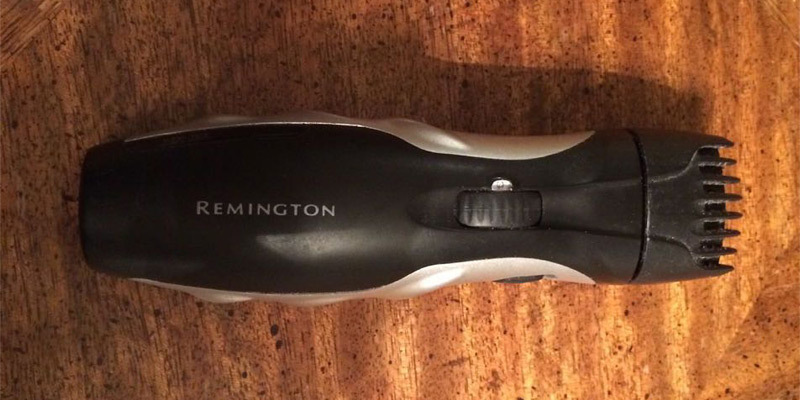 Remington MB-200 looks great, with an ergonomic design & soft material finish and seems very well built. 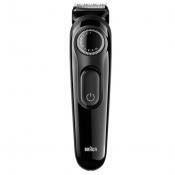 This trimmer is rechargeable through a provided AC adapter. 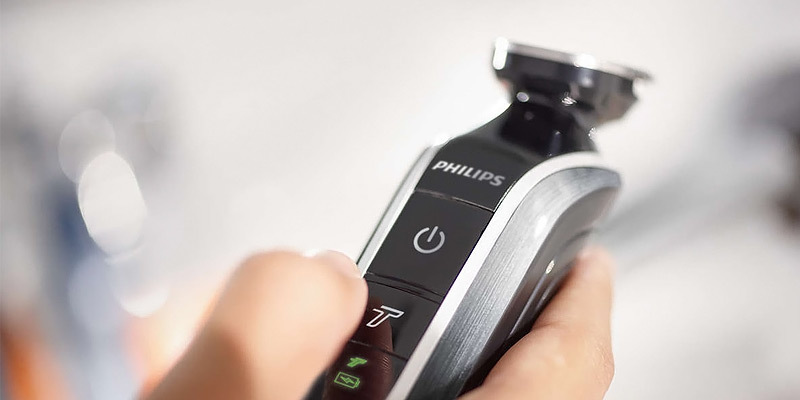 The Philips Norelco Beard trimmer is the most versatile model on our shortlist as it comes with 7 different attachments for beard trimming/styling/detailing, hair clipping, and removing hair from ears and nose. With 48 length settings, you are free to experiment with your hair length at the comfort of your own home without spending time and money on visits to a barbershop. 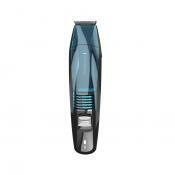 Featuring self-sharpening blades with rounded tips, the trimmer guarantees delicate grooming without skin irritation. 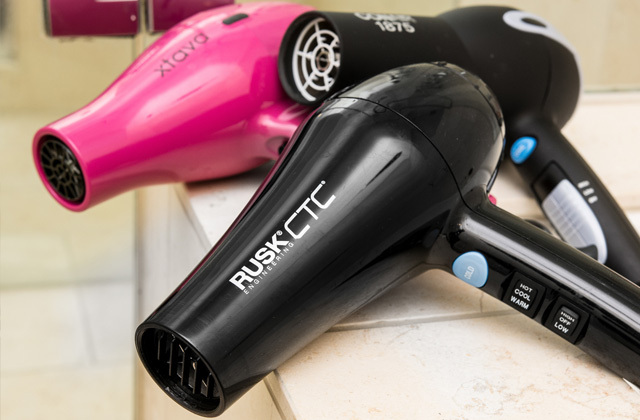 It cuts through dry and thin hair easily, plus owing to a Turbo mode, it also handles thick hair in a breeze. 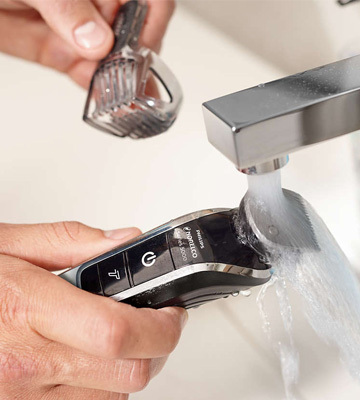 The trimmer requires low maintenance; the waterproof body can be rinsed under running water, while the blades don't require lubrication. A 1-hour charge provides 60 minutes of use. This is a nice size and lots of uses. I bought this for my husband. He likes it and its washable too. The machine is very nice packed, showing all accessories included. I paid and love lithium batteries as they hold their charge even sitting for months. Pleasantly surprised. 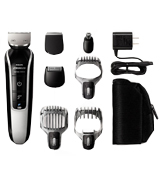 The full-size beard trimmer from Conair comes fitted with a 5-position adjustable comb and 2 jawline combs to help you achieve a facial hair style you want. You can use it to create a stubble look, sculpt or detail your beard. It is very gentle on hair and leaves no irritation after trimming. 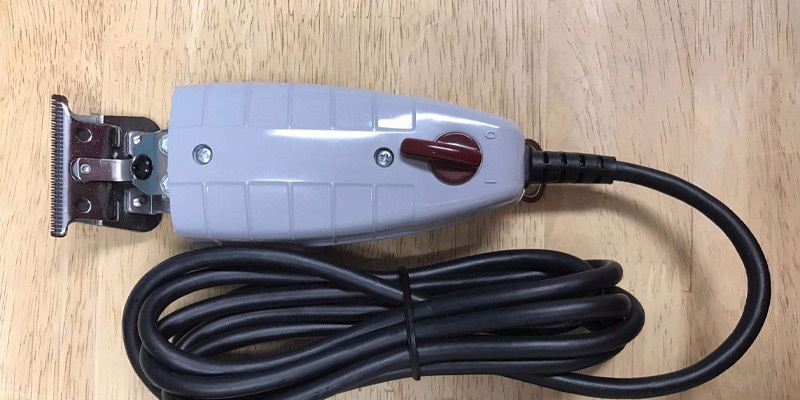 This corded model is equipped with a powerful motor that lets you cut through all hair types and lengths with no lugs in speed and efficiency. Thus, consistent and even results even after each trimming session are guaranteed. The blade of stainless steel requires lubricating, however, this process isn't as complicated as it seems, since the blade can be easily removed. We would like to point out that this professional trimmer is the best option for people looking for a quiet styling tool. Fitted with a 120 V motor, it works almost silently. Cuts evenly. Blades are not dulling. This one is just the right size and more than adequately powerful for trimming my beard and mustache. I was worried that it wouldn't come with enough length accessories, but it has three sizes for shorter facial hair that have worked great. This is corded so it works as advertised and power isn't an issue, the problem I have with it is it's not a very close shave. 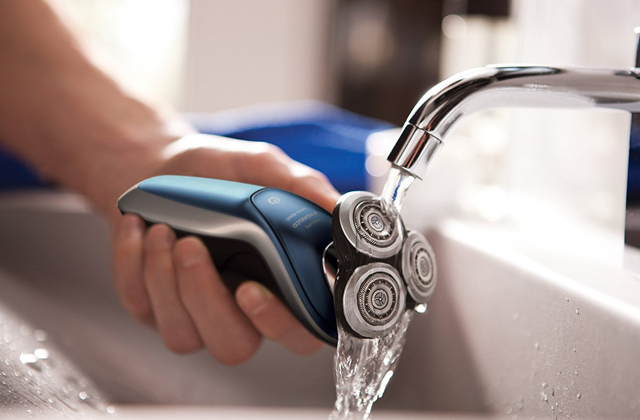 What is a Professional Beard Trimmer? A beard has been the most on-trend accessory men can maintain for several seasons. 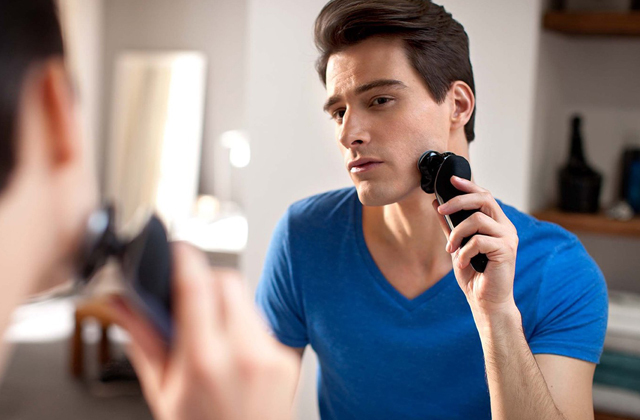 For this very reason, a beard trimmer is justly considered as an essential tool for every man. It doesn't matter whether you need to trim your full beard, detail it, or want to get a 3-day stubble look, the right trimming tool will come in handy. But what really differs professional clippers from those used for personal use? They are much more powerful and can be used throughout a whole day. 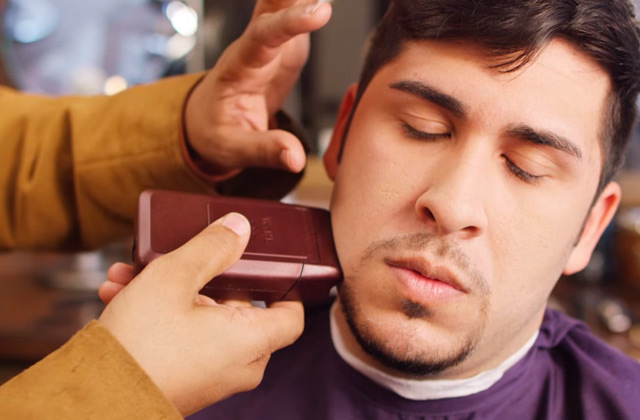 Professional beard and mustache trimmers cut through any hair type easily. Having used a professional trimmer just once, you will see a huge difference. For sure, you'd never want to return to those standard models. 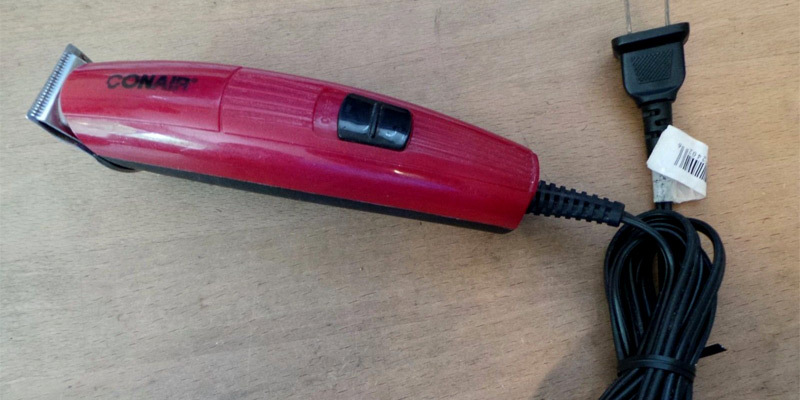 Some people prefer using corded trimmers while others give their preference to rechargeable models. Of course, none of the trimmers that run on batteries can beat corded models in power, yet cordless models are easier to maneuver when trimming in hard-to-reach areas. We recommend you to opt for a model that has an ergonomic design making a tool easy to hold and use. As for the guides, combs, and attachments, you can always purchase them additionally, but, of course, it's a great plus if the set already includes some. We would also recommend you to look through our review of the best hair clippers that will make you look amazing.